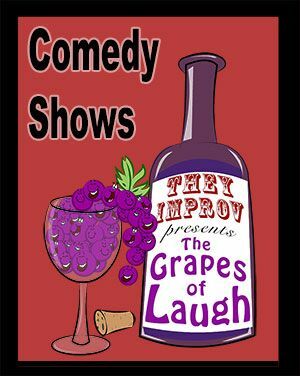 Comedy shows for wineries and vineyards have a very different feel than shows at other types of venues. The venues are more cultured, the people are more refined, and the effect of the alcohol has a more positive impact on the mood of the clientele. IMPROV COMEDY: A mainstay of comedic entertainment, an improv comedy show involves taking suggestions from audience members and performing comedic pieces based on those suggestions. Shows range from 30 to 90 minutes and can even include workshop elements where we teach audience members how to perform and may invite them on-stage to entertain the rest of the audience. We can easily structure such shows to take on specific themes or to even incorporate elements of the venue into the show. STAND-UP COMEDY: Considered the standard for a comedic show, we have a variety of talent at different levels and with varying backgrounds. This allows us to put together shows with one, two or three performers and the shows can have performers with similar backgrounds to be better for specific audiences. SKETCH COMEDY: We have professional comedy writers and performers that can develop customized shows based on the venue, the audience, holidays or just about anything else. While costing a bit more due to the additional work involved, this can be a fun opportunity to entertain while delivering a message.